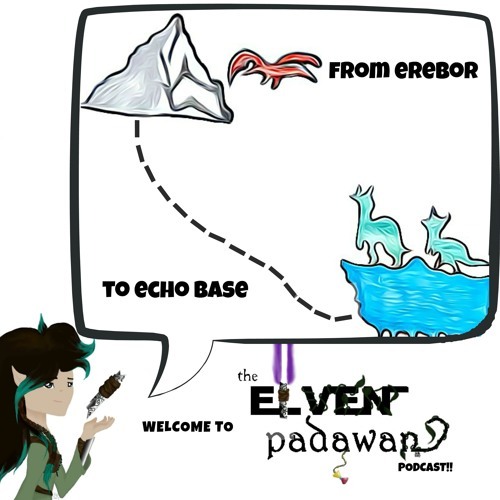 In celebration of the premier of Star Wars VIII: THE LAST JEDI, there's something really special going on with The Elven Padawan: a whole episode of your pre-TLJ thoughts! Shay asked for your thoughts on a few key things concerning THE LAST JEDI, including porgs, R2-D2 vs. BB-8, lightsaber colors, and more, and now she's back with all your answers, compiled into a "questions-on-the-street" news channel style. But don't worry, there are no spoilers here; all questions are speculations and personal opinions only, and all answers were sent back and compiled before TLJ premiered, so if you haven't seen the movie yet, there's nothing to worry about. Please subscribe and leave a review on SoundCloud, iTunes, and GooglePlay Music! Follow on Twitter: twitter.com/ElvenPadawan If you have a question or comment, send them to me at shay@elvenpadawan.com. Check out the website for shownotes and a complete list of all soundeffects and music used in this episode: www.elvenpadawan.com. Users who like The Elven Padawan - #11 - Super Special "The Last Jedi" community episode!! Users who reposted The Elven Padawan - #11 - Super Special "The Last Jedi" community episode!! Playlists containing The Elven Padawan - #11 - Super Special "The Last Jedi" community episode!! More tracks like The Elven Padawan - #11 - Super Special "The Last Jedi" community episode! !